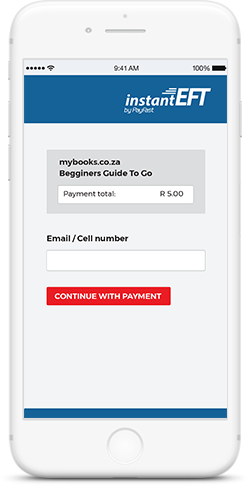 When your customers are ready to checkout, they are redirected to PayFast’s secure payments page. 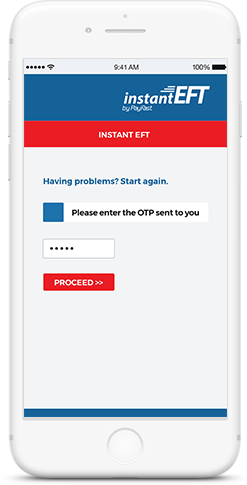 Here buyers have the option to select Instant EFT as their payment method. 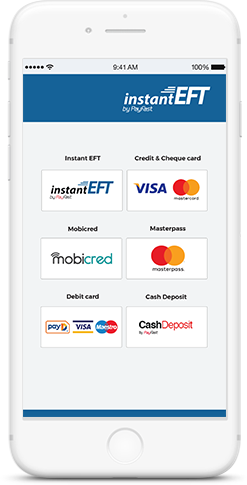 Once Instant EFT has been selected, customers are prompted to choose their bank and enter their internet banking credentials. 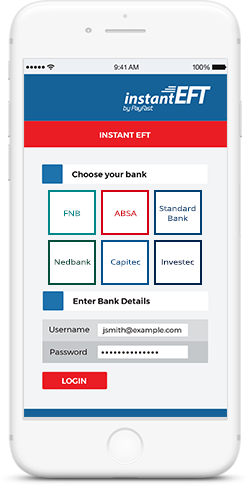 Instant EFT supports 6 South African banks, giving you access to a wide reach of customers. Next, customers select the bank account from which the payment should be made and click the pay button to generate the Instant EFT payment. To complete the transaction, the customer confirms the payment with a one time pin or by approving a mobile authentication message sent from their bank. 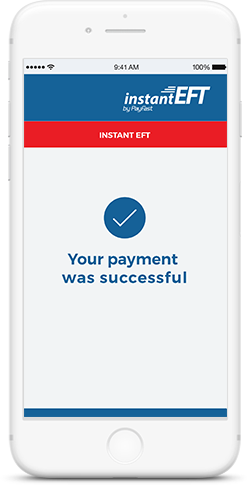 A payment notification is sent as soon as as the EFT has been verified. This happens instantly, so there is no delay or waiting period between your customer paying you and you getting paid. All payments are securely received into your PayFast account. 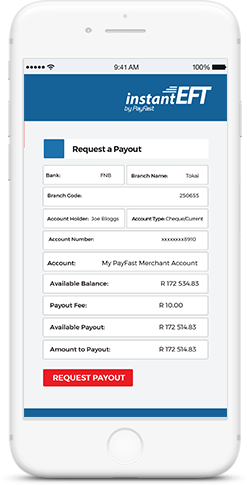 A payout request is required to transfer funds from your PayFast account into your linked South African bank account. These payouts can be automated daily, weekly or monthly, or pay your money out as and when you need it. We make sure you’re in full control. We may already have an answer for you under the frequently asked questions in our Help Centre. Otherwise contact us & we’ll gladly assist you with your queries.